Edinburgh Beer Factory is benefiting from improved codes, reliability and ease of use with the Linx CSL30 laser coder from Linx Printing Technologies. 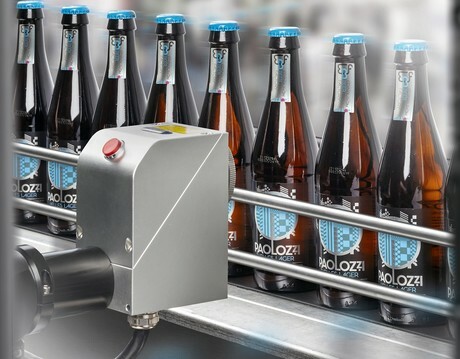 The craft beer company currently uses the device to code ‘Best before’ dates and batch codes on its automatic bottling line, which processes around 2000 330 mL bottles per hour. The device has the potential to handle more production and new bottle sizes as the business continues to expand and enter export markets. Taking inspiration from Edinburgh-born Pop Art-founder Eduardo Paolozzi, the company demands high aesthetic standards for its bottles and therefore requires impeccable codes that do not detract from their visual appeal. Using a laser coder provides benefits as it uses no ink and as a result there is no drying time involved or risk of smudging — problems the company found with its previous coding solution. “For various reasons, our original coder for batch and date codes wasn’t quite right for us,” explained Martin Borland, Head Brewer at Edinburgh Beer Factory. “We started looking into alternatives and laser technology fitted the bill. “When you process 2000 bottles per hour, you need to be confident that your BBEs and batches are being printed, and the Linx coder gives us this. Everything we wanted — cleaner codes, more reliability, the potential to grow — we now have. It’s even more cost-effective than our previous coder.